International Journal of Scientific and Technological Research is a peer reviewed journal. 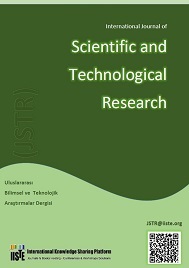 The journal publishes original research articles as well as review articles in all areas of scientific and technological research studies, including but not limited to, the scientific method, engineering sciences, mathematics and formal sciences, basic and applied research, scientific impact of research, science community and society, emerging technology, economics of technology, evaluations of the impact of technologies, technology and society, interdisciplinary research files related to science and technology. The online version is freely accessible and downloadable.